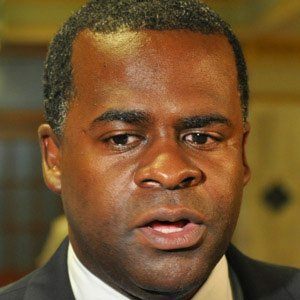 Politician and member of the Democratic party who became the fifty-ninth Mayor of Atlanta in 2010. He managed to balance the city's budget by limiting the pensions of city employees and using that money instead on the police force, as well as on community centers in poor neighborhoods. He earned his J.D. from Howard University in 1995 after interning for for Joseph Patrick Kennedy II. He served in both the Georgia Senate and the Georgia House of Representatives. He has three brothers: Tracy, Carlson and Charles. He is a high-profile city mayor, much like New York City's Michael Bloomberg.